How would you like to be the proud owner of Heritage Le Château for a night? It might seem like a distant dream, but it’s one that’s now within your grasp. 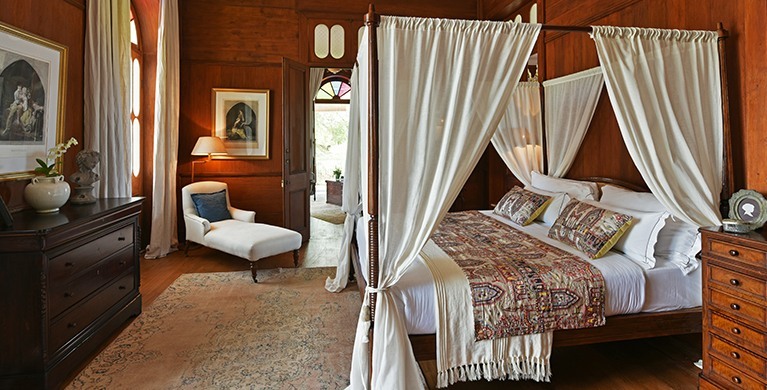 This luxurious residence, built in the late nineteenth century and extensively restored in September 2017, now offers guests a unique and extraordinary Mauritian experience. 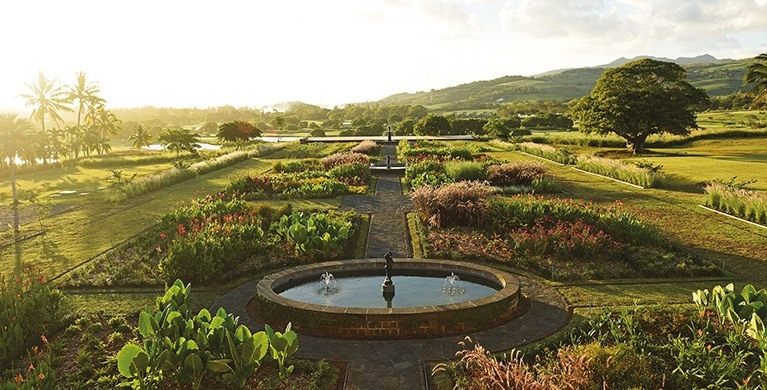 Florent Richard, the man tasked with leading Heritage Le Château’s ambitious restoration, threw himself body and soul into restoring the place to its original splendour while preserving its uniquely Mauritian character. As the co-director of Perrot and Richard, an agency specialising in the restoration and preservation of heritage pieces and property, he spared no expense: the house brims with treasures from every corner of the world. from Persian carpets and Chesterfield sofas to rosewood screens and Venetian chandeliers. 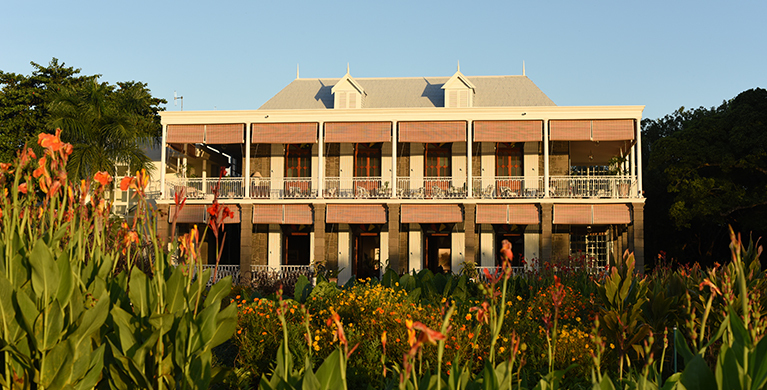 This return to the house’s roots includes references to Mauritius’ history as part of the Spice Route and to local heritage. 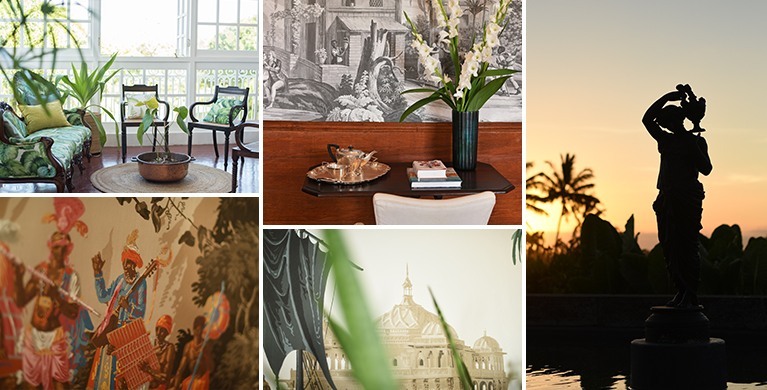 The heroes of Paul and Virginie, a classic Mauritian novel, are immortalised alongside renowned botanist Charles Telfair in paintings and on wallpaper custom-printed by the Zuber factory, whose hand-carved woodblocks are classified as Historical Monuments by the French state. A stay at the Château is a veritable sensory journey. In the ground floor restaurant fringed by a veranda of black volcanic stone, itself graced with a striking Grecian colonnade, you’ll enjoy a gourmet menu full of Mauritian accents and created by star chef David Toutain, who was awarded four toques by Gault & Millau in 2017. Perhaps a sweetcorn risotto with caramelised cumin to start with, followed by a loin of deer in a savoury chocolate sauce? And for an exquisite final indulgence, the chef’s signature tarte tatin, topped with banana and papaya, is just the thing. One of the restaurant’s sommelier will help you choose from the Château’s excellent selection of wines, on display in a glass wine cellar. The night is still young! 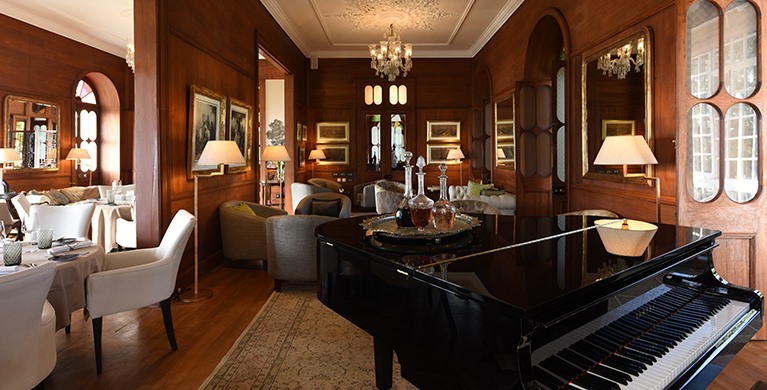 After dinner, perhaps you’d like to make your way to the piano bar for a nightcap in a romantic setting… unless you’d prefer to retire to your suite. Who could blame you? Consisting of a living room, bedroom, dining room and boudoir located on the first floor, your private quarters are lavishly appointed. Kadress, the Château’s valet and a fixture on the estate, is on hand to attend to your every need: fresh flowers, sweets left on your pillow as a turn-down, aromatic herbal teas… A warm and helpful yet discreet presence, he’ll anticipate each of your requests and will spoil you rotten! After a restful night, your breakfast will be served on the veranda, from where you can admire the symmetry of the estate’s French gardens. Next to the veranda is a majestic ficus. It is 250 years old, and has been here almost as long as the estate itself. The winter terrace, a peaceful space graced with lush tropical plants, is the perfect place to while away the hours with a book. Our more active guests can also make their way to the Heritage Golf Club in the Château’s designated golf cart, and enjoy an unforgettable game on one of Mauritius’ most beautiful championship courses. So, does Château life sound good to you?